With summer just around the corner, many Houston residents are preparing their RVs for summer road trips. While it can be exciting to plan a solo sightseeing trip or a family vacation, safety should always be your top priority when you hit the road. 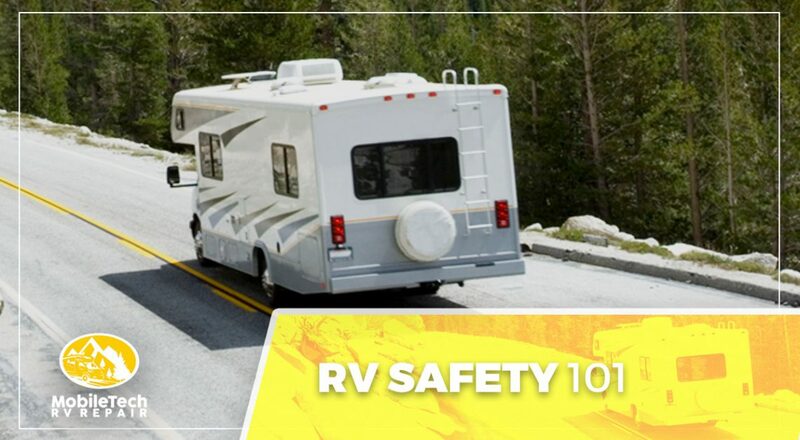 In today’s post, we’ll walk you through a few RV safety basics. MobileTech RV Repair is Houston’s go-to resource for RV service and remodeling. From furniture replacements to roof treatments, we can do it all! Get in touch with us to find out what our technicians can do for your RV. There’s no getting around the fact that it takes some time to get used to driving an RV. They’re big, heavy, and more difficult to handle than ordinary vehicles. Even if you’re a seasoned RV veteran, you should take some time to practice changing lanes, backing up, and making turns before taking your RV on a busy street or highway. You should also be aware of your RV’s height and weight, as some bridges and underpasses will have restrictions that may apply to your vehicle. Additionally, many states have differing regulations when it comes to large vehicles. Research your destination to ensure that your RV won’t violate any weight or size limits that are in place. Whether you’re just using your RV for driving or you plan on sleeping in your vehicle, your carbon monoxide detector should be thoroughly inspected before you hit the road. Damaged exhaust and generator systems can quickly fill your RV with carbon monoxide, a deadly gas. Check your carbon monoxide detector before you hit the road to ensure that you and your family stay as safe as possible. Seek fresh air and medical attention immediately if you suspect that you have inhaled carbon monoxide. 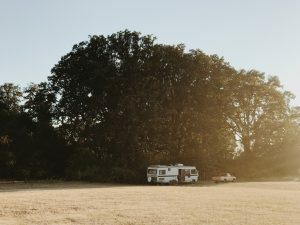 Whether you regularly use your RV or you’re just now taking it out of storage, you should invest in a basic RV service appointment before you hit the road. Plan on investing in new oil and air filters changed if they haven’t been changed since last season. You should also consider purchasing new tires, as the last thing you want is to be stuck on the side of the road during your trip. RV maintenance can add to your traveling expenses, but preventative maintenance is always significantly cheaper than paying for unexpected repairs. You’ll be glad that you made the investment when the only memories you have from your trip are happy ones! Stay tuned for future posts in which we’ll continue to provide you with RV safety basics. MobileTech RV Repair is your top resource when it comes to RV service and repairs. We’d love to help you improve the look and performance of your RV – contact us today to get started!